Over the years, a plethora of reports have earned the San Luis Valley the reputation of a UFO hotspot. And it’s not just flying saucers. 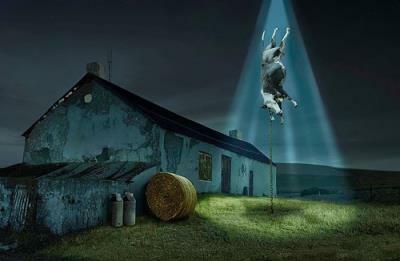 People have allegedly seen shadow people lurking in the area and cattle from several farms have been found mutilated. Conspiracy theorists have drawn parallels between these strange cases and the alleged presence of a number of secret military bases. As you would expect, such a connection would be difficult to prove. Rumor has it that during WWII, the Nazis retrieved a crashed UFO and were actively researching the alien technology it carried. However, the war ended before they could turn the tide in their favor. The same rumors say that the research had been carried out in a secret facility located in the Wenceslas Mine in southwestern Poland. Some conspiracy theorists believe that Die Glocke, The Nazi Bell was designed and built in this underground facility location. Dulce is a small town with a population of about 3,000 residents, located near the border of New Mexico and Colorado. It’s also home to one of the most controversial underground bases. Some have claimed that beneath the Archuleta Mesa lies a facility housing thousands of reptilians and the unethical experiments they allegedly perform on humans. According to other accounts, it is the gray aliens who run the base but the activity is the same. No matter how outrageous these claims might seem, a few conspiracy theorists swear the whole thing is real. Discovered in 1989, this 70 square kilometer area is located in the Ural Mountains. Its proximity to a village called Molyobka has caused the zone to be nicknamed the M-Triangle. Reports claim that the area receives constant UFO visits and physical manifestations. Strange lights, strange shadows, unknown energies, symbols in the sky; apparently this place has them all. Unfortunately, there isn’t much information available about the M-Triangle, making it another unverifiable Russian mystery. Tonopah, Nevada houses a highly secretive base and it’s located about 70 miles northwest of Area 51. Very few people know of its existence and it is rarely mentioned even between members of the intelligence services. Lockheed’s F-117 Nighthawk was a well-kept secret at the Tonopah Test Range in the mid-1980’s. Although these stealth fighters left the base years ago, it still remains operational. What could it be hiding now? Five hundred miles to the southeast and we’re in Tonopah, Arizona. While no anomalies are reported over Tonopah, Nevada, its eponymous counterpart has plenty. People have reported UFOs of all shapes and sizes flying over Tonopah, AZ. Sometimes the flying saucers would be escorted by fighter jets, arising suspicion about joint alien-human operations. Some believe that the UFOs are actually attracted by the nearby Palo Verde nuclear plant. This behemoth generates a shocking 3.3 gigawatts of power, enough to serve 4 million people, send Marty McFly back in time twice and attract curious extraterrestrials, all at once. In the early 1980’s, Bob Lazar started making public appearances and sensational statements. He claimed to have been employed by the U.S. government to work on reverse-engineering captured alien craft. 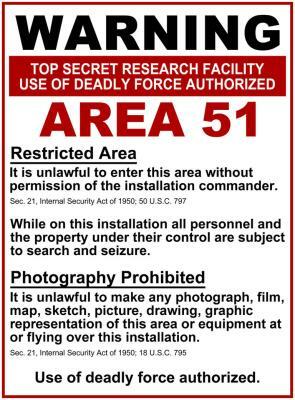 These activities were allegedly carried out inside the S4 facility, which was hidden in the side of a mountain, 20 miles south of Area 51. Lazar was unable to provide the exact location of the S4 base since he and his fellow workers had been transported with a blacked-out bus to the site. The facility consists of nine hangars built into the mountainside, with the angle of the hangar doors matching the natural slope of the mountain and well-camouflaged among the surrounding environment. Inside, scientists and gray aliens work towards an unknown common purpose. Bob Lazar’s claims remain unverified and largely unverifiable due to the area being highly restricted to public view. Word around conspiracy sites has it that former dictator Saddam Hussein was in cahoots with aliens. Or at least managed to grab some of their technology from a crashed (unearthed, as some would say) UFO. This alleged secret area was located somewhere in the upper valley of the Little Zab River, near a town called Zarzi. 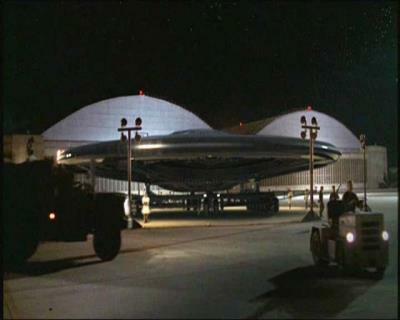 Saddam’s very own Area 51 attracted interest in 2002, when an anonymous source with ties to the military claimed that a UFO had crashed in Iraq in the previous years. Information is scarce and there’s little hope of finding out whether this actually happened. Interestingly enough, the Nazi occult organization called Ahnenerbe showed interest in the area around Zarzi and allegedly recovered artifacts from an excavated ancient Sumerian city. The highly disputed border between India and China is an inhospitable place. Located on this border is Kongka La, a remote mountain pass which is said to be home to an alien base. Locals on both sides of the pass have reported many strange occurrences and they claim both governments know about the unusual activity taking place in the pass. They say triangle-shaped silent crafts are seen taking off vertically from and disappearing into an underground UFO base. Sometimes called Russia’s Roswell, this secretive base has served as a research and test facility for Soviet missiles, rockets and satellites. Over the years, numerous strange events have been linked to this base. Rumor has it that there’s an underground base beneath Kaputsin Yar, where the remains of a downed UFO were brought in for study in 1948. The most recent event involved a UFO that hovered over the base for two hours, emitting a bright beam of light from time to time.